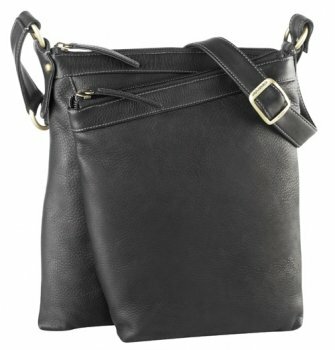 Keep your everyday or excursion essentials together in a well organize compact, affordable and lightweight handbag. On the front exterior, you will find a cellphone/PDA pocket which is also great for a small camera. There is also a double headed zipper pocket with an open pocket on the front of it with a hidden magloc closure. Inside the zipper pocket is an organizer consisting of 4 credit card slots, a small cellphone pocket and a zipper coin pocket. There is also a sleeve for your bills plus space for more items. The pocket is gusseted for a wider opening and also comes with a removable key ring for your spare keys. 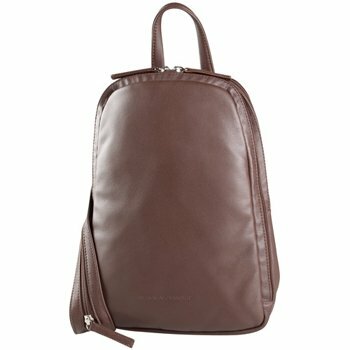 On the rear exterior, there is a hidden zipper pocket that you could slide your passport or a small book. The main compartment is large and open with two open pockets on the back wall. It’s secured with a full double headed zipper. 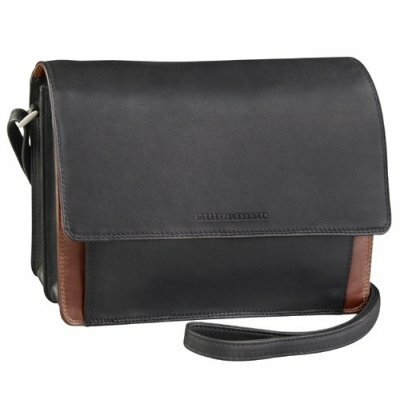 The strap is adjustable for the perfect fit in your shoulder and cross body. I have many many purses & never seem to have the "perfect" purse. This seems to be exactly what I was looking for! 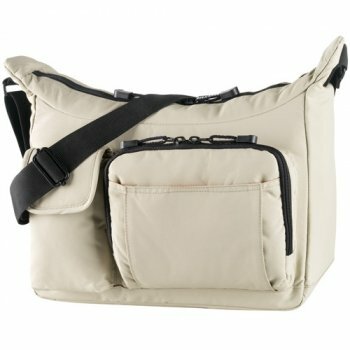 Light weight, just the right amount of outside pockets, big enough for all I need when travelling. In fact, I bought this just for an upcoming vacation; I think I will start using it right away for everyday! Love the 2 outside magloc closures! Excellent bag! To make my experience even better, it was delivered the very NEXT DAY after I ordered it!!! Almost, but not quite right. Great bag up to a point. When the bag is “filled” it is FAT! Not a particuly good look, and could likely be solved by making the bag slightly taller and possibly slightly less deep front to back. 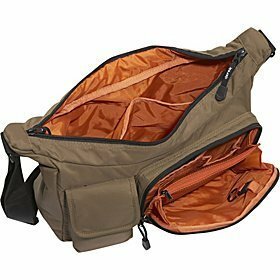 The two front pockets are very handy, but the larger one has a zipper that opens exactly the wrong way; the pocket is handy for small items, but when the zipper is opened all the way, items can (and do) fall out. I could accept the chubby look of the bag if only the zipper was changed to open the other way; this zipper has been an issue for a number of reviewers on other sites as well. I always wonder whether designers and manufacturers ever actually read reviews of their products and pay any attention to suggestions.